Right now our smartphones use ambient light sensors placed on the front of the phone to detect light which can then be used to adjust our display’s brightness accordingly. For the most part this works just fine, but in Android Pie, Google has detailed how they are using machine learning to help make this experience better. Now it might seem a bit over the top to use machine learning to make adjustments to one’s display, but according to Google, “We believe that screen brightness is one of those things that should just work, and these changes in Android Pie are a step towards realizing that.” We have to say it is a pretty clever idea and if it means that in the end there is less fiddling that we’ll need to do with our phones, and focus more on what’s at hand, then why not? 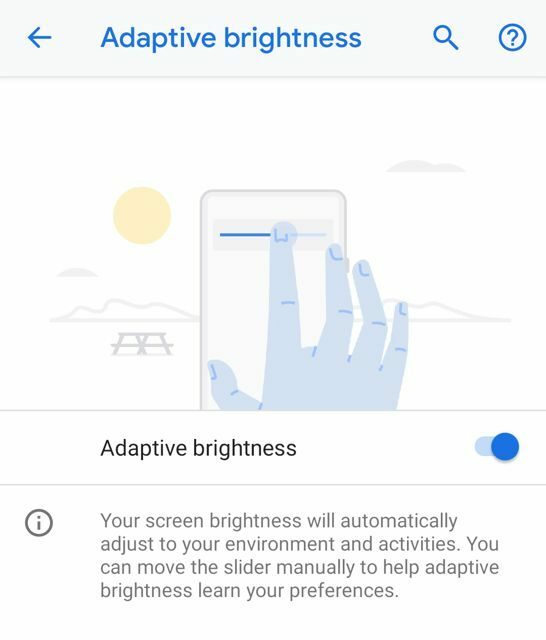 As it stands the Adaptive Brightness feature is part of the Android Pie update and is available on Pixel devices, but Google is working with their OEM partners to bring the feature to non-Pixel devices as well. Filed in Cellphones. Read more about AI (Artificial Intelligence), Android and Google.